BEST FIGHTER FOR CANADA: Italy may cut its F-35 order... In favor of ground attack Typhoons. Italy may cut its F-35 order... In favor of ground attack Typhoons. F-35B. Italy may drop its order down to 45 instead of 90. After the USA and Great Britain, Italy has been the largest investor so far in the F-35 program. Italy is such a large player in the JSF world that a good portion of F-35 assembly would happen in Italy itself. All is not well with the Italian F-35 purchase, however. Amidst economic woes, Italy has already dropped its order of F-35s from the planned 131 down to 90. There has been some movement to cancel the Italian purchase altogether, but so far it looks like an Italian purchase is inevitable. The biggest questions remaining are "when?" and "how many?" Italy's coalition parliament must agree to further spending on the F-35 program, pending a 6-month review of the program. Given the recent US DOT&E review of the program, Italy's review may not prove promising. Now there is word that Italian politicians may reduce the F-35 order further down to 45 jets out of the already lowered 90. This is still a matter up for debate, and it may be a ploy to get more favorable terms from the USA and Lockheed Martin. 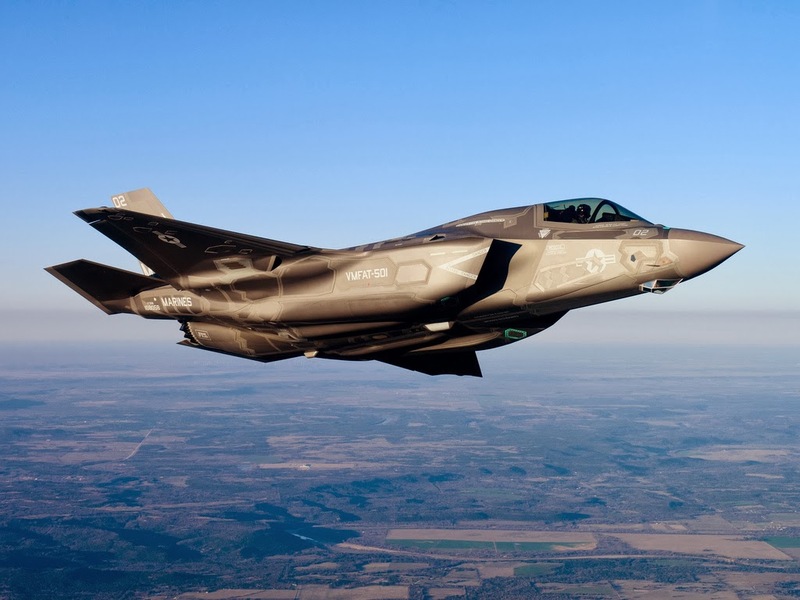 A drop in orders would be highly reminiscent of both The Netherlands' and S. Korea's F-35 orders, reducing numbers in order to stay under budget. Italy may beef up its Typhoons' ground attack role instead. How does Italy plan on compensating for a reduced F-35 order? 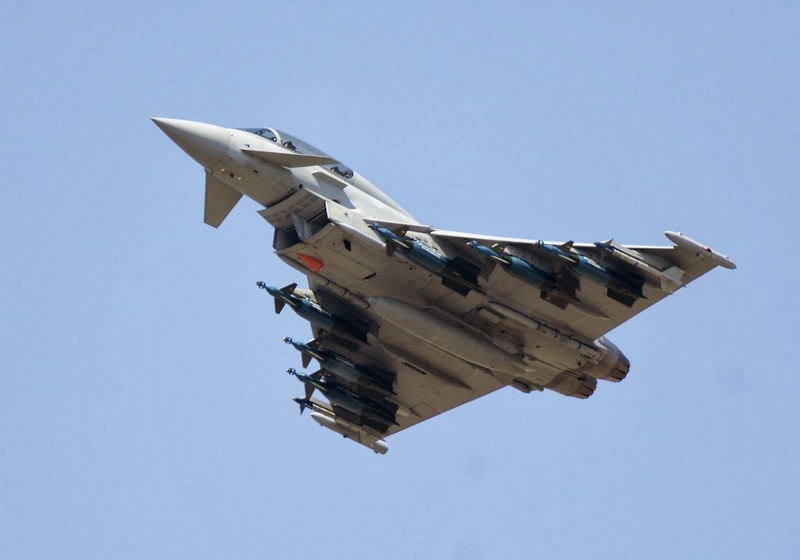 Both sources said the document — which could be ready this month — would strive to make Italy invest in the multirole, ground attack version of the Eurofighter. Italy, a partner in the Lockheed Martin JSF program, has hitherto shown relatively little interest in the European plane. When Italy, the third largest JSF partner (and one of the most financially troubled), considers dropping F-35 orders in preference to the Eurofighter Typhoon, other JSF partners should take careful notice. This being said, and given the heavy investment in JSF program, I don't believe they will cancel the whole procurement. F-35B is the only way to replace Harrier, or that would mean giving up the entire capability. But a cut in the order, mainly on the F-35A side, sounds likely to me. As I mentionned earlier, it is very surprising France was able to keep Rafale technologically ahead of the Typhoon (AESA, weapons integration...), but Italian and German reluctance to invest in the program is very guilty in this regard. So a u-turn in favor of a Typhoon-focused strategy, even for ground attack, could be very significant! Contrary to F-35, Typhoon suffers from the fact it was primarily designed as an air superiority fighter, but history teach us it is relatively easy to go smoothly from air-focused to ground-focused : F-16, F-15, Mirage 2000, etc. That seems to be the trend, doesn't it? Not many countries are exiting the JSF program altogether, but many are either dropping their orders significantly or deferring delivery to a later date. This doesn't exactly play into LockMart's marketing strategy.